Coastal Insulation installs radiant barriers in attics and are experts in saving energy through your attic, as well as many other parts of your home. For your free radiant barrier estimate, call or e-mail us today! 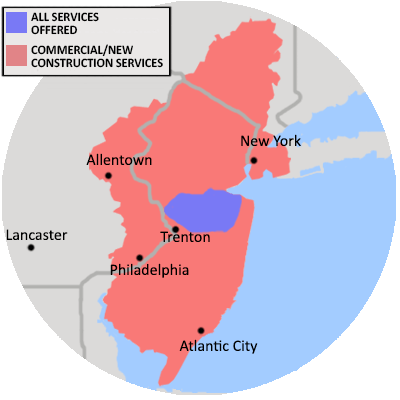 We serve Trenton, Hightstown, Old Bridge and surrounding New Jersey, New York, and Pennsylvania areas. As the local experts for home insulation, Coastal Insulation offers professional radiant barrier installation and specializes in a variety of insulation solutions. Our insulation services are available in Old Bridge, Trenton, Hightstown, North Brunswick, Monroe Township, New Brunswick, East Brunswick, Marlboro, Princeton, Lawrence Township, Princeton Junction, Morganville, Plainsboro, Highland Park, Kendall Park, Freehold, Monmouth Junction and the nearby areas. Call 1-844-565-1285 or contact us online for an insulation estimate or home energy audit in New Jersey, New York, and Pennsylvania.